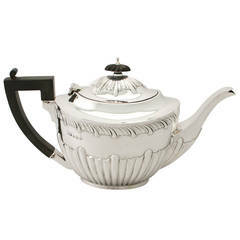 An exceptional, fine and impressive vintage Elizabeth II English sterling silver teapot in the Queen Anne style; an addition to our silver teaware collection This exceptional vintage sterling silver teapot has a plain circular rounded pear shaped form onto a collet style foot, all in the Queen Anne style. 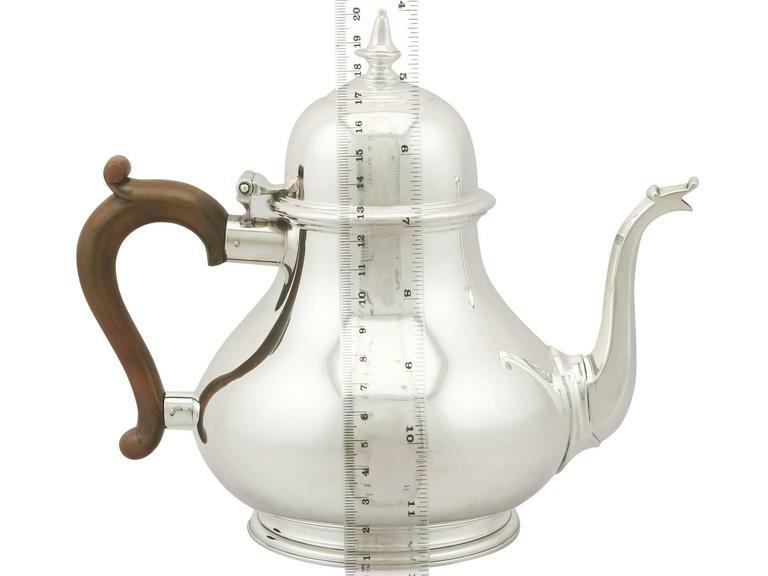 The surface of the teapot is plain and unembellished. 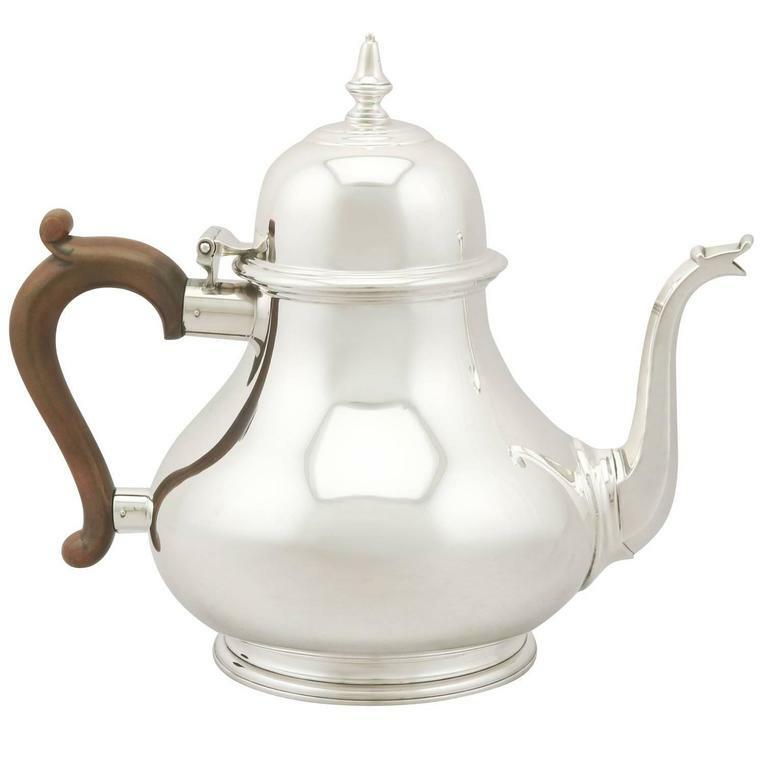 This vintage silver teapot retains the original hinged hallmarked domed panelled cover surmounted with an impressive sterling silver urn style finial. 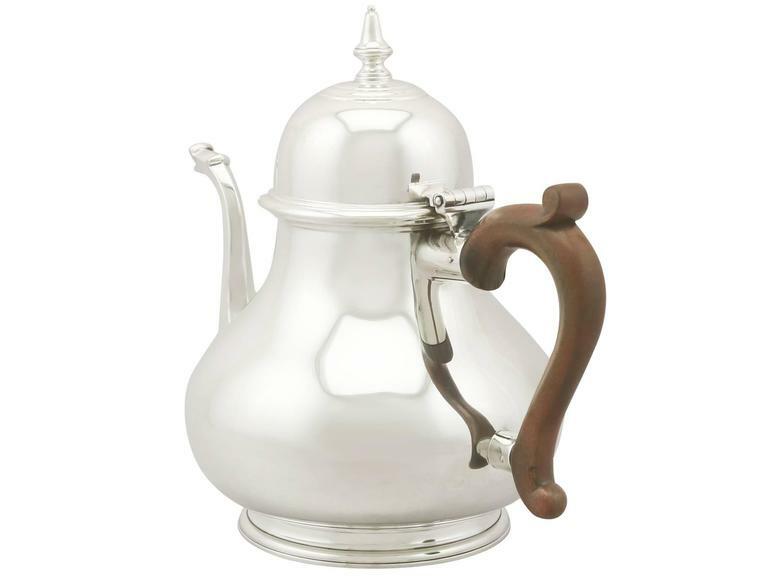 This Fine teapot retains the original scrolling carved painted wood handle with a carved scroll style thumbpiece and plain sterling silver sockets. 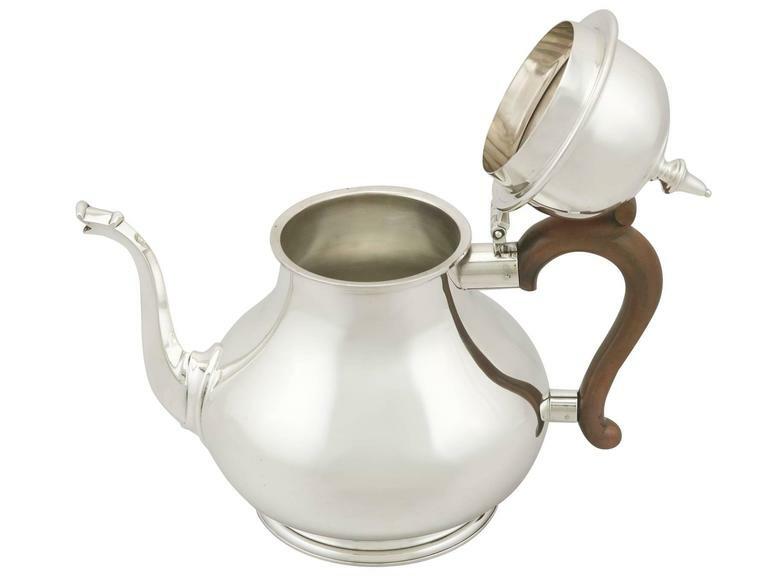 This Queen Anne style teapot has a panelled swan necked spout, ornamented with a chased decorated scrolling design to the lip. 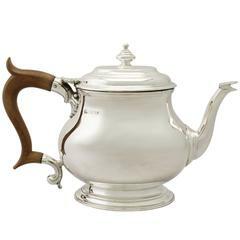 Condition This vintage silver teapot is an exceptional gauge of silver, exceptional quality and in exceptional condition. 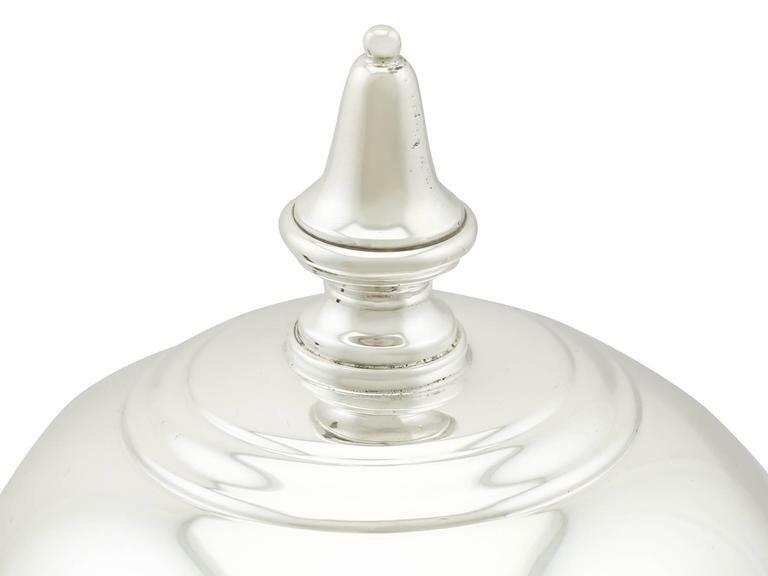 This Fine example of Queen Anne style teaware has been professionally polished and is in presentation condition. 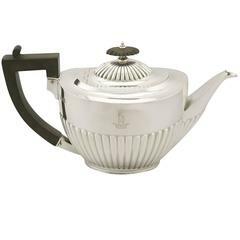 The interior of the teapot has been professionally cleaned and is ready for use. 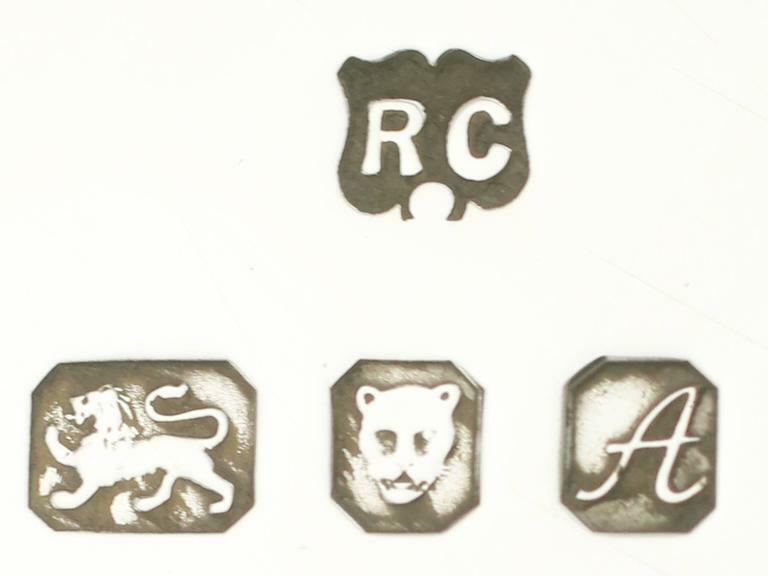 Full hallmarks struck to the underside and part hallmarks struck to the interior of the cover are very clear. 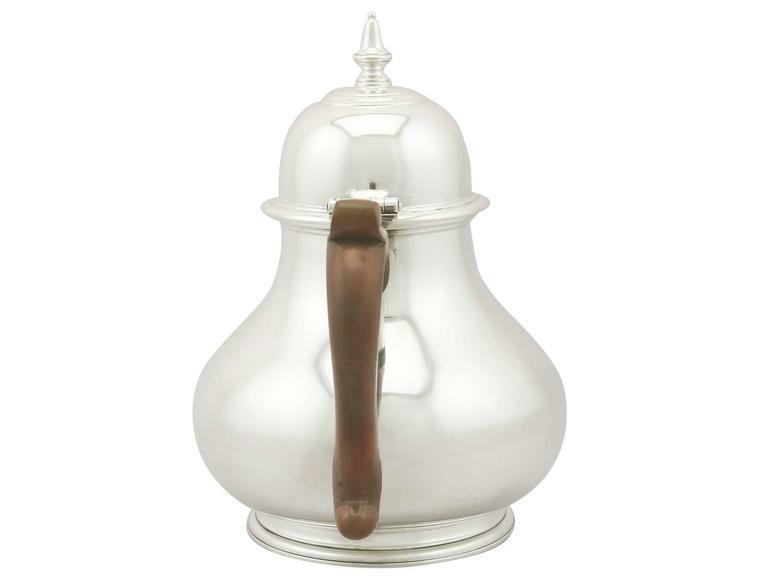 Dimensions Length from back of handle to tip of spout 23.7cm/9.3" Width 13.8cm/5.4" Height 20.6cm/8.1" Weight 23.1 troy ounces/717g Maker: William Comyns & Sons Ltd (Richard Comyns) Date: 1975 Origin: London, England Video: A video of this fine piece is available upon request Reflections in photographs may detract from the true representation of this piece of vintage teaware. 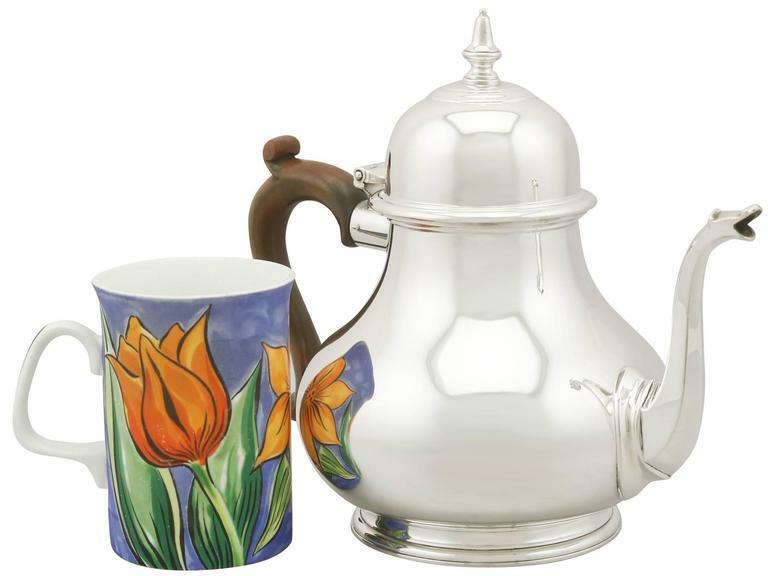 A vintage sterling silver creamer and sugar set. 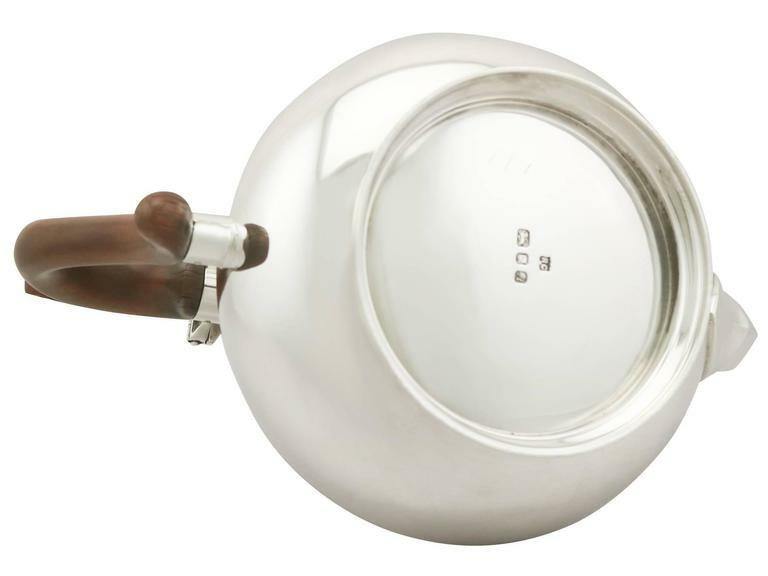 With maker's mark and marked 'sterling silver' on bottom as show in image #6.